These are the best of the best when it comes to Wolf Garden Anvil loppers. The anvil technology although harsher on the plant then bypass loppers its cutting strength is second to none. So if you want to clean up your yard and get the job done with minimum fuss domestically or commercially, these are the loppers for you. 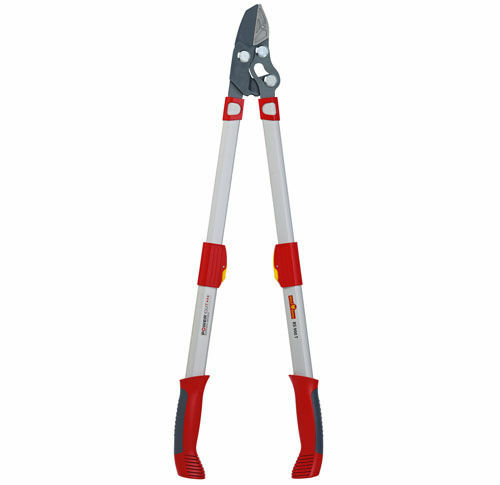 Able to cutting a massive 50mm in diameter there isn't many other loppers in the market that can compete! The adjustable length also gives you reach from 650mm to 900mm meaning that its a tool that can be adjusted to suit many jobs in the yard! The non stick blades and replaceable parts really rounds this lopper out as a high quality product like all their tools. This is evident in the 10 yr guarantee provided by Wolf!